St. Julian Devine Community Center Park and Playground offers educational classes, seasonal events, and other social opportunities for various communities in Charleston’s Upper Peninsula. 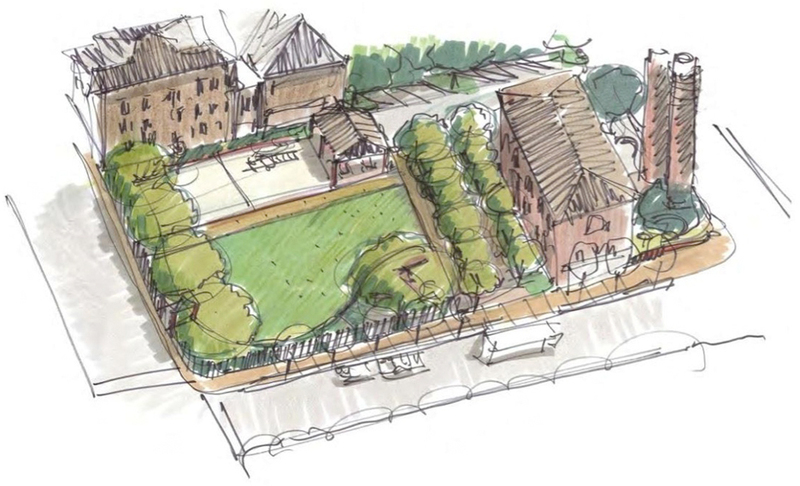 This is an important community gathering space and community center building; however, the site currently includes an outdoor area with only a limited play structure, a dry and weathered basketball court, and barren turf. With the help of the City of Charleston and East Side community, the Charleston Parks Conservancy plans to renovate the park’s playground and green space. 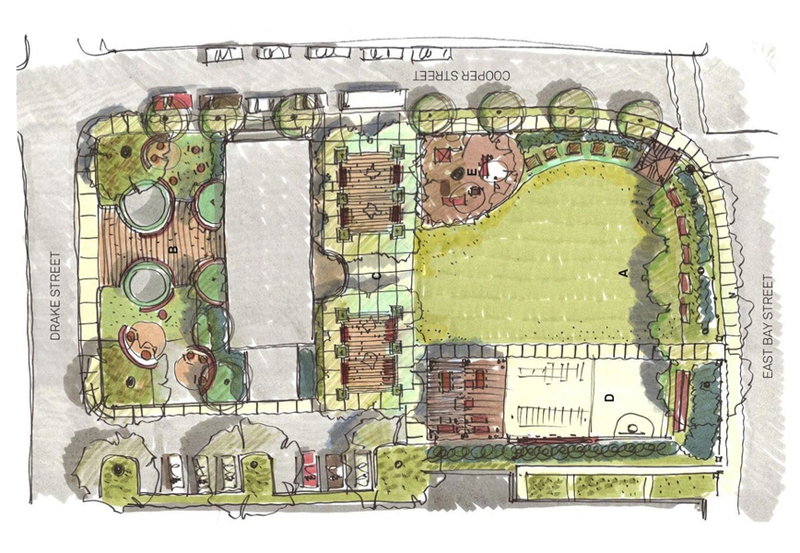 Working with the community, many of the playground features will be updated and the existing green space will boast beautiful and inviting gardens complete with shade structures and trees. Some existing hardscape will be transformed into two half-sized basketball courts. 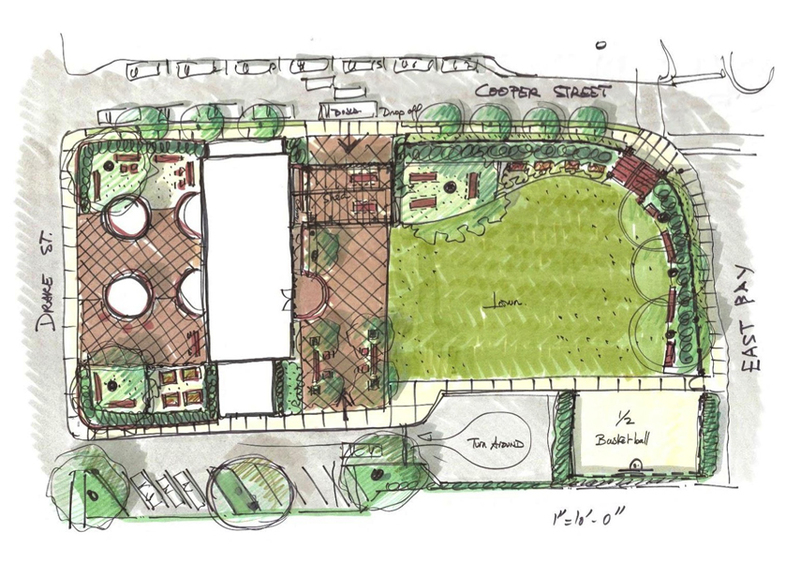 The new park area will serve as a welcoming entrance to the community center as well as a recreational focal point for those using the Ravenel Bridge walkway. 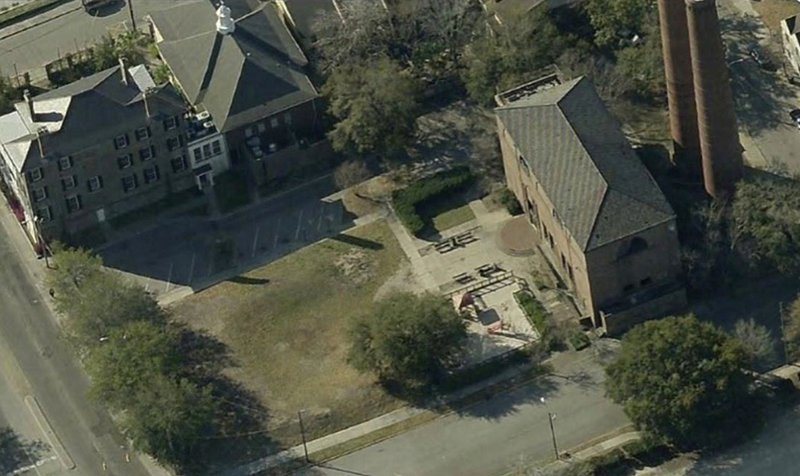 This renovation will serve the variety of communities located on Charleston’s East Side. In addition, the updated park will welcome those from the Ravenel Bridge walkway as well as the many people who pass by daily. Funding is needed for construction. Currently the Charleston Parks Conservancy is collaborating with the City of Charleston as well as East Side community members in developing and executing this renovation. There may be additional future opportunities for community involvement and participation.